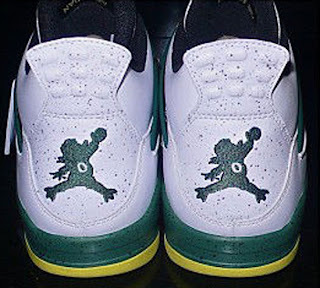 A few weeks ago, I posted about an Air Jordan 4 Retro made for the Oregon Ducks football team designed by Tinker Hatfield. Now, we have a look at another colorway called the "Jump Duck" edition. The colorway designed by Tinker is considered an "Away" edition due to it being black-based. This pair features a white-based leather upper with black, green and yellow accents, a "Home" edition. They feature a green speckled midsole sitting on a yellow outsole along with a green rubber wing and yellow wing tips. A green "O" is found on the tongue to represent the University of Oregon and a unique "Jump Duck" logo is found on the back heel. 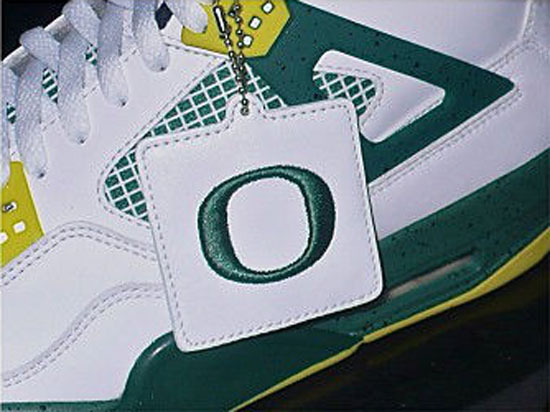 These also come with a white hang tag which features a green "O" on one side and the "Jump Duck" logo on the other. 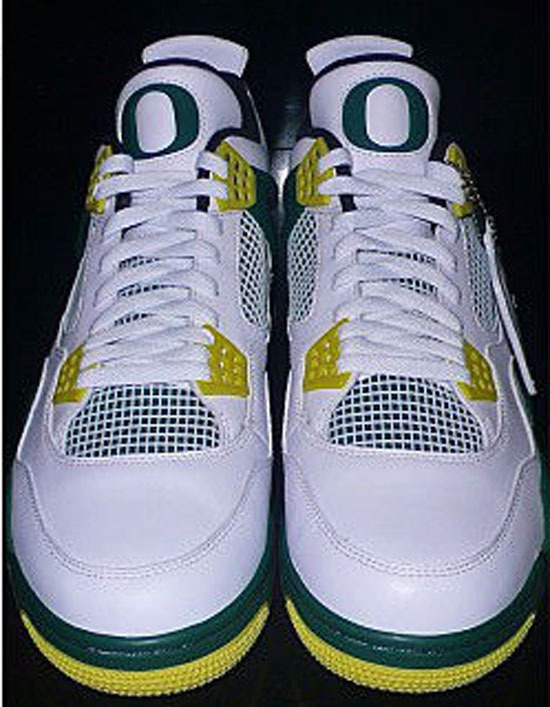 Enjoy the images below of the "Jump Duck" Air Jordan 4 Retro University of Oregon Ducks PE below. 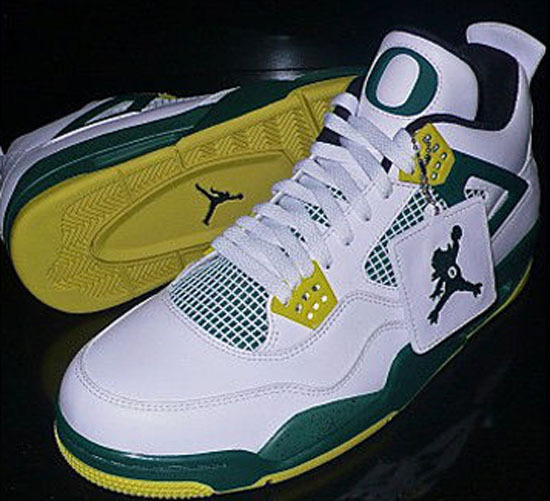 This Air Jordan 4 Retro is a special player exclusive made for athletics in the University of Oregon Ducks athletic program as well as select friends and family. They will not be released to the public.